Recently, lodgers took up residence in our house in the form of 24 adorable Itty Bittys. Don’t take me literally on that, they didn’t come marching in the front door! 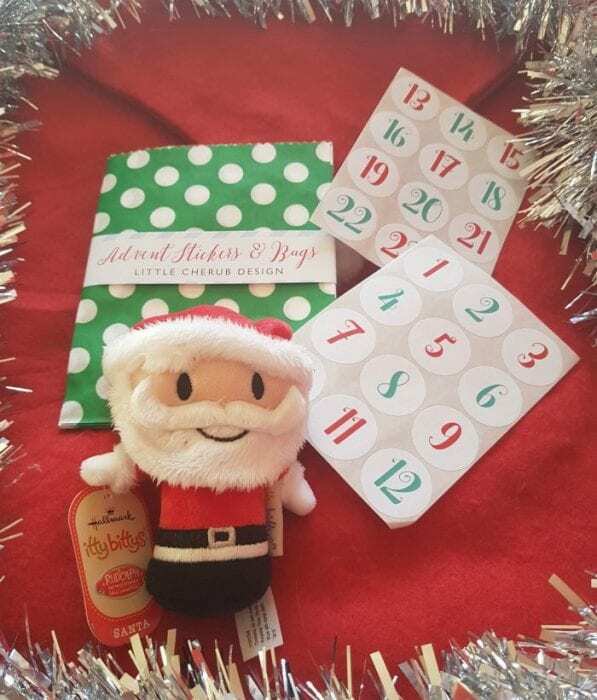 They were sent to me with the purpose of creating a seriously awesome advent calendar for Mini Me to celebrate the countdown to Christmas in style, an Itty Bittys Advent Calendar! Christmas is the one time of the year when it is totally acceptable to over indulge, however to prepare a much healthier alternative to the usual chocolate advent calendar, especially a calendar that will be so much more fun to open was an awesome challenge! Armed with characters covering Star Wars, Marvel, DC Comics and more, I needed to fill and sticker a cute Christmas themed bag from Little Cherub Design with each character. Not as easy as you may think as the plush Itty Bittys characters are small, however their ‘costumes’ are all very in keeping with their character. What I did notice was the high quality of the Itty Bittys and how seriously adorable they are! I am actually quite jealous that I will have to open a chocolate each day, however Mini Me will be opening a new collectable Itty Bittys character each day. I can only image her expression now as she opens the first bag on December 1st – I will be equally as surprised as I cannot remember which plush I have added to which dated bag, which makes it even more exciting! The brainchild of Adan Chung who sketched what popular characters would look like if they were ‘itty bitty’, the complete range is available in Hallmark stores and online with prices starting from £6 each. The collectables make the perfect stocking filler for Christmas and with so many in the range, there is no doubt that you will find your child’s (or big kids!) favourite iconic character! I have to admit that my favourite is C3PO… but don’t tell anyone! I am sure you will agree that this is probably the healthiest Advent calendar idea and possibly the most exciting! Bear with us as we open a new character each day – follow our Advent calendar openings on Instagram for an Itty Bittys surprise every day! Are you making your own Advent calendar this year? Are you inspired by the Itty Bittys Advent calendar? Lighting The Way This Christmas!